A man who spent more than two decades behind bars for the cold-blooded slaying of a Brooklyn rabbi was released Thursday into the arms of his weeping relatives after a reinvestigation by prosecutors cast serious doubt on evidence used to convict him. 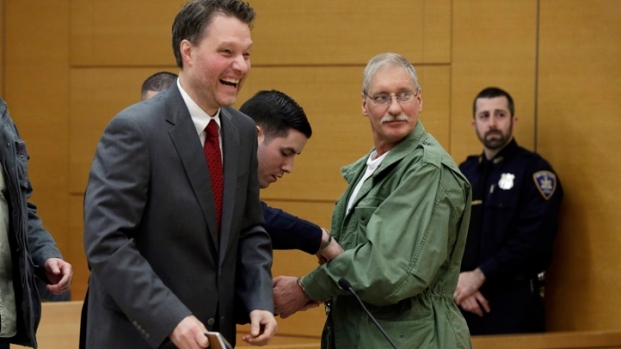 "Sir, you are free to go," a judge told a smiling, white-haired David Ranta moments after prosecutors announced they supported tossing out the 1991 conviction. Ranta's pregnant daughter — a 2-year-old when he was jailed — sisters and other supporters burst into applause and swarmed him as he walked out of the courtroom. His parents had died while he was in prison. A judge vacates the murder conviction of David Ranta, who spent 23 years behind bars for the murder of a popular Brooklyn rabbi in 1990. Watch Ranta's reaction as he's freed from handcuffs and reunites with his family. "I'm overwhelmed," the 58-year-old Ranta told reporters. "I feel like I'm underwater, swimming." The dramatic turnabout came after the Brooklyn district attorney's office filed paperwork on Wednesday saying it supported a defense motion to vacate the murder conviction and dismiss the indictment. After a recent review, they said they "no longer have sufficient evidence to prove the defendant's guilt beyond a reasonable doubt." Before releasing Ranta, Judge Miriam Cyrulnik offered an apology: "To say I'm sorry for what you've endured would be an understatement. ... But I say it anyway." Ranta had claimed he had been rotting in a Buffalo prison for no reason. "Like I said from the beginning, I had nothing to do with this case," he said outside court. Prosecutors admitted the case against Ranta was now too "degraded" to hold up in court. But unlike case where convicts are exonerated by new DNA evidence, they stopped well short of conceding his innocence. 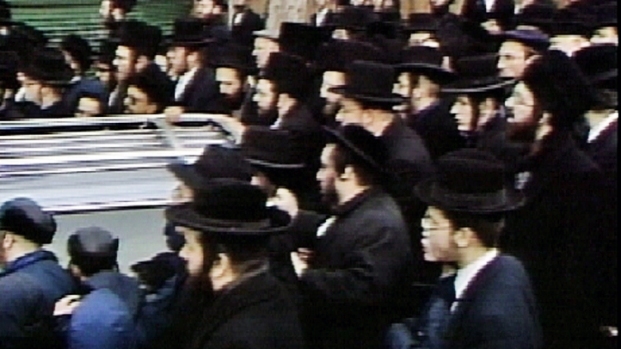 Police investigate the Feb. 8, 1990 shooting of Rabbi Chaskel Werzberger, a popular rabbi in the Williamsburg community in Brooklyn. "That's a good question," prosecutor John O'Mara, who heads the DA's Conviction Integrity Unit, said when asked by reporters who killed the rabbi. "It may have been this defendant, it may not have been this defendant." The case dated to Feb. 8, 1990, when a gunman botched an attempt to rob a diamond courier in Williamsburg in Brooklyn. After the courier escaped unharmed, the man approached the car of Rabbi Chaskel Werzberger — a Holocaust survivor and a leader of the Satmar Hasidic community — shot him in the forehead, pulled him out of the vehicle and drove away in it. 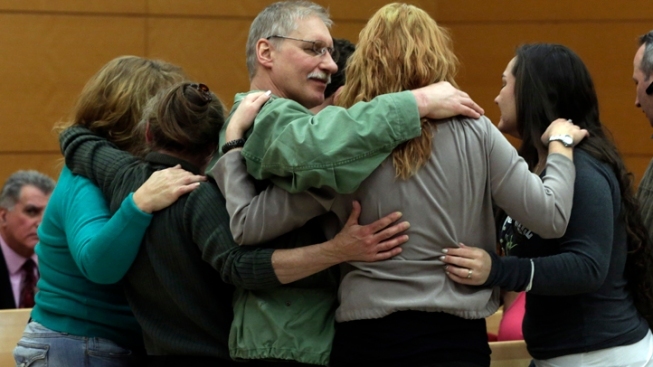 After spending more than two decades in prison for a murder he says he's never committed, David Ranta's conviction was vacated Thursday and the 58-year-old former printer was freed. Jonathan Dienst has the story. Thousands attended the rabbi's funeral, and then-Mayor David Dinkins offered a $10,000 reward for information leading to an arrest. After the arrest of Ranta, Hasidic Jews surrounded the car that carried him to jail and chanted, "Death penalty!" No physical evidence linked the unemployed drug addict to the crime, and the diamond courier never identified him as the bandit. But a jury found him guilty anyway based on witness testimony and circumstantial evidence. He was sentenced to 37½ years in prison. Hasidic Jews from as far away as Montreal to upstate New York and New Jersey converge in Williamsburg, Brooklyn, to mourn Rabbi Chaskel Werzberger, a popular figure in the community described as a "father to everyone." Werzberger was shot in the head on Feb. 8, 1990 in a botched robbery. He died four days later. The case began to unravel after newly formed Conviction Integrity Unit began its review in 2011. That same year, a man named Menachem Lieberman had approached Ranta's trial lawyer to tell him he "had uncertainty and discomfort" with his identification of Ranta, and later gave the unit a sworn statement recounting how a detective had told him to "pick the one with the big nose" — Ranta — out of a police lineup. Other interviews done by the unit suggested an alleged accomplice-turned-prosecution witness — now dead — had pinned the shooting on Ranta to save himself. A woman also repeated claims that her deceased husband privately confessed he was the killer. The unit also found gaps in police paperwork intended to document their investigation. And Ranta denied he knowingly signed police file folders with statements saying he'd helped plan the robbery. A man who has spent more than two decades behind bars for the murder of a Brooklyn rabbi was apparently wrongfully convicted. Jonathan Dienst reports. Ranta "claimed he had signed a blank file folder ... only because he thought it was a form to allow him to make a phone call," court papers said. The decision by the Brooklyn district attorney's office to support tossing out the conviction shocked relatives of Werzberger, said Isaac Abraham, a close family friend. They believe there's still credible evidence Ranta participated, he said. "For this to happen 23 years later is mind-boggling," Abraham said. "He can only claim he wasn't the shooter but he can never claim he wasn't involved." One long-retired detective from the case, Louis Scarcella, has defended his work. "I never framed anyone in my life," he told the New York Post this week. "You have to be a low devil to frame someone. I sleep well at night." Asked about Scarcella on Thursday, Ranta trial attorney Michael Baum said: "I think he saw a chance to solve a high-profile case at any cost. ... He's a cowboy."